Catalan separatist leaders are requesting a meeting with King Felipe later this week. The King is scheduled to make a visit to Catalonia and the new government there, led by nationalists, has said it will not welcome the monarch with normality. Catalan separatists see the King as siding with unionists, especially after a strong speech supporting unity and the rule of law. The Catalan leaders say they want to open a dialogue with the King where he recognizes the region’s right to self determination. Update: The Spanish government vetoed the meeting between the King and Catalan leaders, saying it was political in nature. The new prime minister is looking to meet with the new Catalan president in the coming weeks. King, Queen Arrive In The U.S.
King Felipe and Queen Letizia touched down in the U.S. today for the beginning of a brief your. Their Majesties landed in Louisiana and will then move to San Antonio and Washington, D.C.
King Felipe and Queen Letizia arriving in New Orleans. They are scheduled to meet with President Trump at the White House on the 19th. 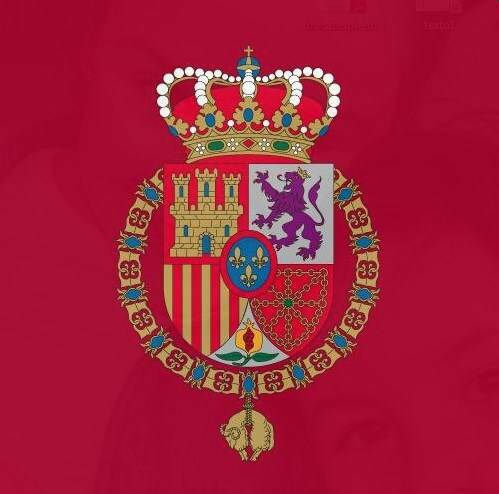 Several articles have appeared in recent weeks pointing out warm relations between the Spanish Royal Household and the gay community. Indeed, last month, King Felipe congratulated Spanish LGBT publication Shangay on its anniversary. But that wasn’t the first gesture. After taking over as monarchs, King Felipe and Queen Letizia made a point to invite the LGBT community to royal receptions. King Felipe and King Juan Carlos during a meeting with business leaders. King Felipe was also the first royal to appear on the cover of a magazine geared toward the LGBT community. His father, King Juan Carlos, approved of legislation legalizing gay marriage in Spain in 2005. King Felipe and Queen Letizia will meet with U.S. President Donald Trump on June 19th, media outlets are reporting. Their Majesties will stop by the White House during a tour of several U.S. cities. The last time the King and Queen were in Washington, D.C., was to meet with President Obama. The Spanish Royal Household made a strong effort to meet with the Obamas. King Juan Carlos was the first head of state to visit President Obama at the Oval Office. King Felipe today swore in ministers for the new Spanish government under the Socialist Party. The ministers took their oath at Zarzuela Palace, without a Bible and crucifix, much like the new prime minister. King Felipe and Queen Letizia met with Ukrainian Presdient Petro Poroshenko and his wife Maryna at Zarzuela Palace earlier this week. The King also met at the small palace of La Quinta with Spanish leaders who help steer an advisory board on international relations, a subject His Majesty is keen on. Queen Letizia was in Brussels in recent days for an European Union development conference. This week the King also accepted credentials from a variety of new ambassadors to Spain.